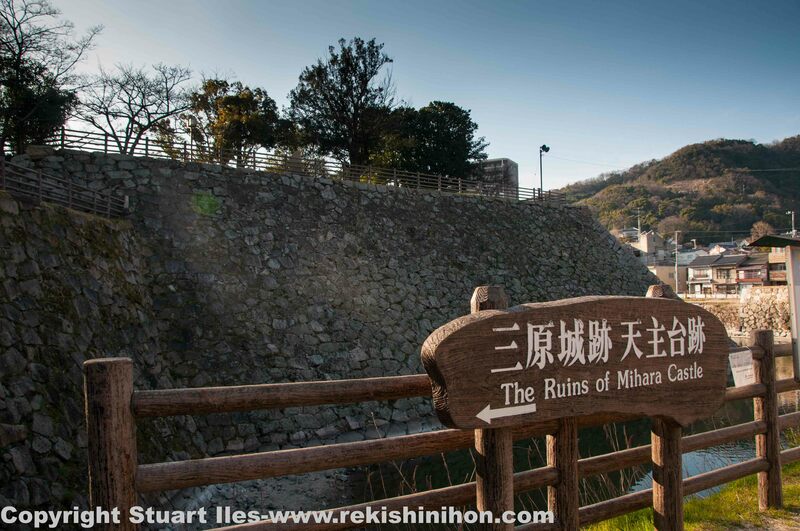 Mihara Castle Ruins – Hiroshima. I finally got an afternoon off, so I did a bit of exploring around Mihara. I visited the castle ruins and there isn’t really much left. Looking at the old layout of the castle you get the impression that it must have been one huge grand castle complex using the ocean for its numerous moats and canals. Wow such a shame that more wasn’t kept. 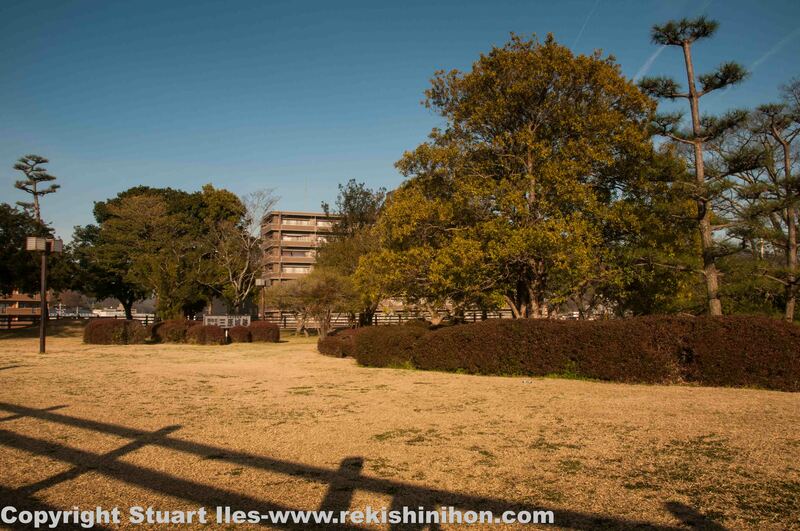 The Mihara train station sits right on top of where the honmaru would have been. 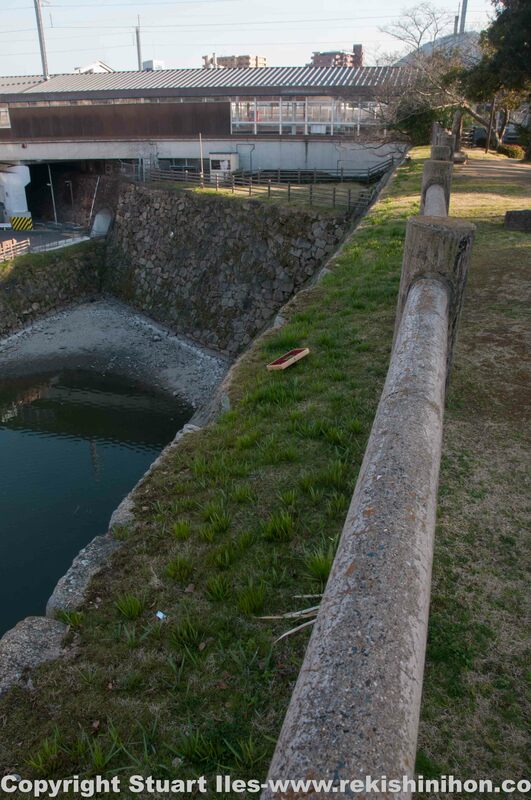 You can kinda see that the old canals are still being used today but pretty much just for storm water drainage. It just kinda leaves you thinking of what could have been preserved of this grand castle complex that was quite a bastion for the Mori navy forces. Until I can research a little more about the castles history here is a bit from my friends J Castle site. Kobayakawa Takakage built this large scale castle with 3 baileys, 32 sumi yagura (corner yagura), and 14 gates. It was built on the coast and connected two islands giving rise to the nickname Ukishiro, or “floating castle.” Kobayakawa moved from Shin Takayama Castle, a typical mountaintop castle, to this site to better manage the Mori’s sea forces and to help protect from Oda Nobunaga who was advancing from the East. The third son of Mori Motonari, Kobayakawa Takakage was responsible for developing the naval forces which took part in the subjugation of Kyushu, Shikoku, Odawara and also took part in the advances on Korea. After Hideyoshi conquered Kyushu, Kobayakawa was rewarded with more lands in Chikuzen, Chikugo and Bizen. 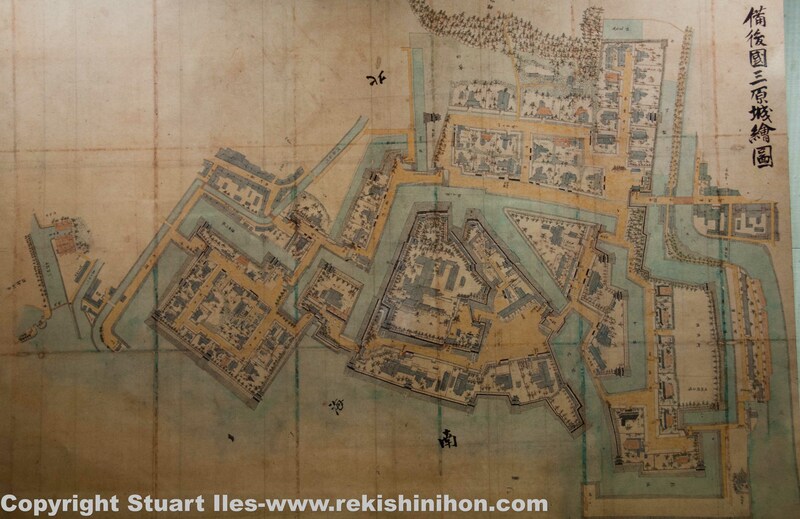 He moved to Najima Castle in the East of Fukuoka and renovated much of Najima castle, which was also a seaside castle. 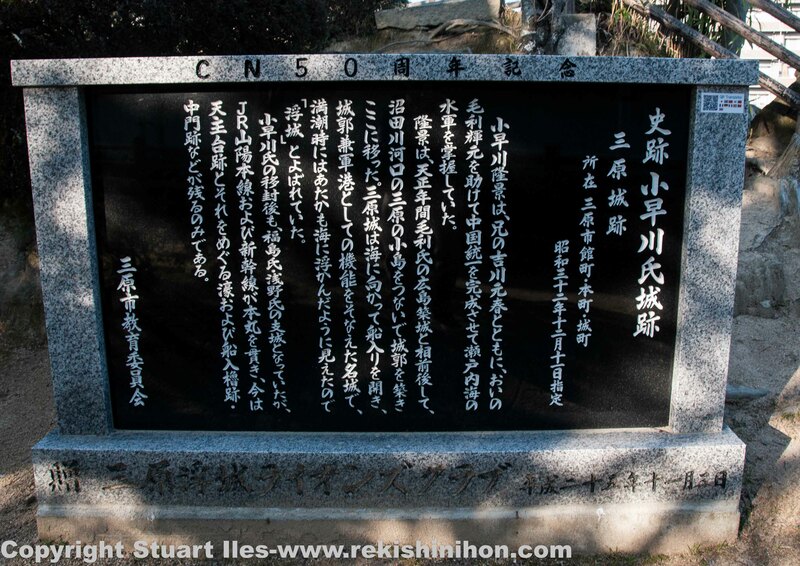 In 1595 after handing over the Chikuzen and Chikugo to his son, he retired to Mihara Castle where he died in 1597. The tenshu foundation of Mihara Castle was the largest ever built, similar in size to that of Edo castle, but the main keep was never actually built. Mihara Castle escaped demolition during the Meiji Period so that it could be used as Imperial naval base. It was later decommissioned and Mihara Train Station was built on the site in 1894. At this time all the buildings were destroyed and much of the stone walls torn down. The honmaru was further cut to make way for the bullet train in 1975. Together with Kobayakawa’s Shin Takayama Castle it is designated a National Historic Site.